This tutorial will show you step by step how to compress (zip) files and folders into ZIP, RAR, 7Z or other compressed files in few different ways – using free software and online services (websites). And also how to do this without using third-party software in Microsoft Windows 7, 8 and 10, Linux Mint, and Ubuntu. There are also (optional) instructions included for adding password protection (encryption) to your compressed files or folders in 7-Zip, PeaZip, Ashampoo Free Zip, WinRAR, Linux Mint, and Ubuntu. Compressed files are files that contain one or more files or folders and have a smaller size than the original file size. Compressed files make downloading and transferring data faster, sending files by email easier and they also save storage space on a computer hard drive, USB flash drive or external hard drive. A few common compressed file extensions are .rar, .zip, .tar, .gz, and .7z. Other extensions are b1, jar, xpi, arj, bz2, bzip2, tbz2, tbz, txz, cab, chm, chi, chq, chw, hxs, hxi, hxr, hxq, hxw, lit, cpio, deb, gzip, tgz, tpz, hfs, iso, lzh, lha, lzma, rpm, xar, z, taz, xz, dmg, cb7, cbr, cbt, and cbz. File archivers are programs used to compress and uncompress files. A few popular file archivers are WinRar, WinZip, and 7-Zip. Microsoft Windows has a feature for compressing and uncompressing files, but this one doesn't have any extra options and can only zip and unzip ZIP and RAR files. Linux Mint and Ubuntu also have a function to compress and decompress files and support all kinds of different types of files. Documents: Microsoft Word and Excel, PDF, TXT, ODF, etc. Pictures: JPEG (JPG), PNG, GIF, BMP, etc. Videos: MPEG-4 (MP4), AVI, WMV, FLV, MKV, DIVX, etc. Audio: MP3, WMA, WAV, FLAC, etc. Web: HTML, CSS, PHP, XML, etc. And much more file types and formats. 7-Zip is a free program that allows you to compress (zip) files and unzip (extract) compressed files. 7-Zip supports the following formats: RAR, ZIP, 7Z, TAR, GZ, XZ, BZIP2, GZIP, ARJ, CAB, CHM, CPIO, CramFS, DEB, DMG, FAT, HFS, ISO, LZH, LZMA, MBR, MSI, NSIS, NTFS, RPM, SquashFS, UDF, VHD, WIM, XAR, and Z. You can download 7-Zip here. 1. Right-click on the file or folder. 3. Click on Add to [FileName].7z or Add to [FileName].zip. 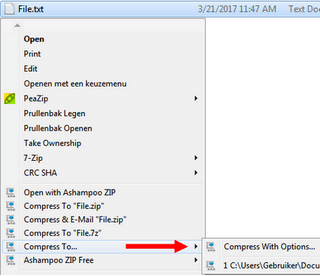 7-Zip will now compress (zip) your file or folder. If you want more options, such as other file types or password protection (encryption), then follow the following steps. 3. Click on Add to archive. 4. At Archive Format, you can select an archive format. 5. 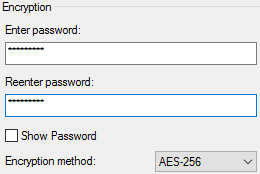 If you want to password protect (encrypt) your file or folder, then go to Encryption, enter your password twice and make sure AES-256 is selected at Encryption Method. Important! It is very important to remember your password because you will need it to unzip (extract) your file. You might want to create a backup of the non-password protected files and folders – in case you forget the password in the future. 6. You have a few settings, but if you don't know what any of these settings mean, then just leave the settings unchanged. 7. Click on the OK button located at the bottom right. 7-Zip will now compress (pack) your file or folder. Ashampoo Free Zip is a free program that allows you to compress (zip) files and unzip (extract) compressed files. Ashampoo Free Zip supports the following formats: ZIP, RAR, 7Z, CAB, TAR (TAR, TAR.GZ, TAR.BZ2, TAR.XZ), ZIPX, ARJ, ARC, ACE, MSI, NSIS, CHM, DMG, RPM, CPIO, VHD, XAR, LZMA, LZH, SquashFS, CramFS, Z, ZOO, WIM plus ISO (ISO9660, and UDF). You can download Ashampoo Free Zip here. 2. Click on Compress to [FileName].zip or Compress to [FileName].7z. 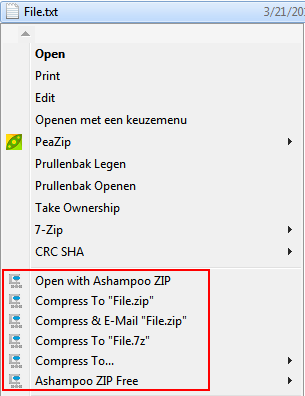 Ashampoo Free Zip will now compress (zip) your file or folder. 3. At Format, you can select an archive format. 4. If you want to password protect (encrypt) your file or folder, then go to Encryption and select AES-256 Encryption. 5. You have a few settings, but if you don't know what any of these settings mean, then just leave the settings unchanged. 6. Click on the Add button. 7. If you enabled encryption (password protection), then you will need to enter your password twice and then click on OK.
Ashampoo Free Zip will now compress (pack) your file or folder. PeaZip is a free program that allows you to compress (zip) files and unzip (extract) compressed files. PeaZip supports the following formats: RAR, ZIP, 7Z, TAR, GZ, bz, bz2, bzip2, tbz2, tbz, gzip, tgz, tpz, z01, smzip, arj, cab, chm, chi, chq, chw, hxs, hxi, hxr, hxq, hxw, lit, cpio, deb, lzh, lha, r01, 00, rpm, z, taz, tz, iso, jar, ear, war, lha, pet, pup, pak, pk3, pk4, slp, xpi, wim, u3p, lzma86, lzma, udf, xar, dmg, hfs, part1, split, swm, tpz, kmz, xz, txz, vhd, mslz, apm, mbr, fat, ntfs, exe, dll, sys, msi, msp, ods, ots, odm, oth, oxt, odb, odf, odg, otg, odp, otp, odt, ott, gnm, doc, dot, xls, xlt, ppt, pps, pot, docx, dotx, xlsx, xltx, swf, flv, quad, balz, zpaq, paq8f, paq8jd, paq8l, paq8o, lpaq1, lpaq5, lpaq8, ace, arc, wrc, 001, pea, cbz, cbr, cba, cb7, and cbt. You can download PeaZip here. 3. Click on Add to .7Z or Add to .ZIP. PeaZip will now compress (zip) your file or folder. 4. Select an archive format. 5. If you want to password protect (encrypt) your file or folder, then click on Enter password/key file, enter your password twice and click on OK.
7. Click on the OK button. PeaZip will now compress (pack) your file or folder. WinRAR is a powerful archive manager. It can backup your data and reduce the size of email attachments, decompress RAR, ZIP and other files downloaded from the Internet and create new archives in RAR and ZIP file format. WinRAR supports the following formats: RAR, ZIP, 7Z, TAR, GZ, CAB, ARJ, LZH, XZ, TAR.GZ, BZ2, TAR.BZ2, ACE, UUE, JAR (Java Archive), ISO (ISO9660 - CD image), and Z (Unix compress). You can try WinRAR before buying, its trial version is available here. 2. Click on Add to [File Name].rar. WinRAR will now compress (zip) your file or folder. 3. At Archive format, you can choose an archive format. 4. If you want to password protect (encrypt) your file or folder, then click on Set password..., enter your password twice and click on OK.
5. You have a lot of settings, but if you don't know what any of these settings mean, then just leave the settings unchanged. 2. 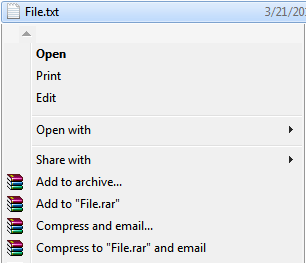 At File name, you enter a file name for your new compressed file. 3. Click on the Choose Files button. 4. Go to the location on your computer where the file or folder is stored that you want to compress (zip). 5. Select the file or folder and click on Open. 6. Click on the Zip Files button. 7. EzyZip will now compress your file(s) or folder(s) and when it's done, you click on the Save Zip File button. 8. Select a location on your PC where you want to save the new ZIP file and click on Save. 2. Go to Send to and choose Compressed (zipped) folder. 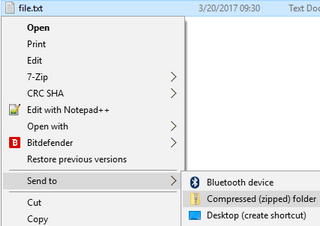 Windows will now compress (zip) your file or folder. 3. 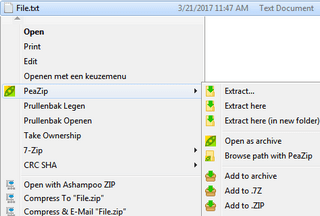 A small Compress window will appear and here you can select an archive format, such as .zip, .7z, .tar or .gz. 4. If you want to password protect (encrypt) your file or folder, then click on Other Options and enter your password. 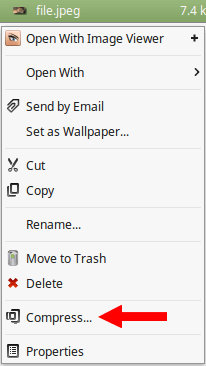 Linux Mint or Ubuntu will now compress (zip) your file or folder.